This upcoming season will be Coach McPhee’s 29th and last season as the coach at Northeastern. 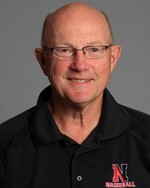 McPhee, a standout student-athlete at Northeastern in both baseball and ice hockey, took the helm of the NU program before the 1986 season and quickly turned the Huskies into perennial contenders. Coach McPhee has a record of 697-623-4 in 28 seasons at Northeastern. Under McPhee’s leadership, Northeastern qualified for the America East tournament every year from its inception in 1993 until NU joined the CAA in 2006. McPhee led the Huskies to America East titles in 1994, ‘97 and 2003. He was selected America East Coach of the Year in 1991 and ’94 and, in 1994, he also was voted the New England Div. I Coach of the Year. He started his coaching career at Newton South High School, where he coached both baseball and hockey from 1968-85. While knowledgeable about every aspect of the game, the MBCA is honored to have a legendary coach such as Coach McPhee speak about infield play.